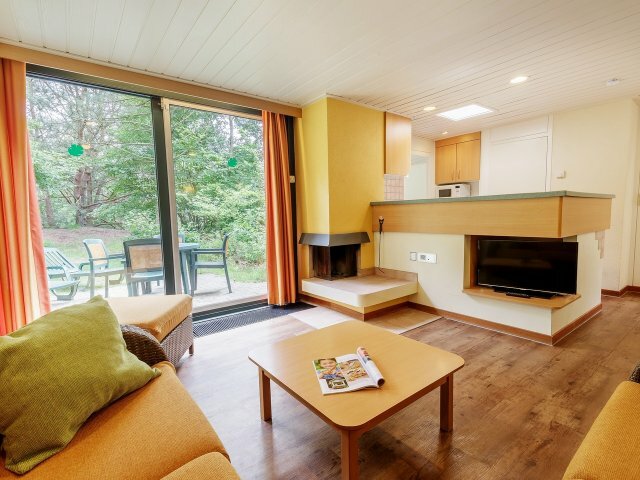 The price indicated is based on the booking of the accommodation Premium Kids Cottage from 27/05/19 to 29/05/19, excluding reservation costs. Children's furniture (babybed/playpen, highchair), clock radio, wtool, work table, children's terrace stool, children's cutlery. A thermostatic tap is available in the bathroom. The cottage number on the front door is in the form of a coloured drawing of an animal.